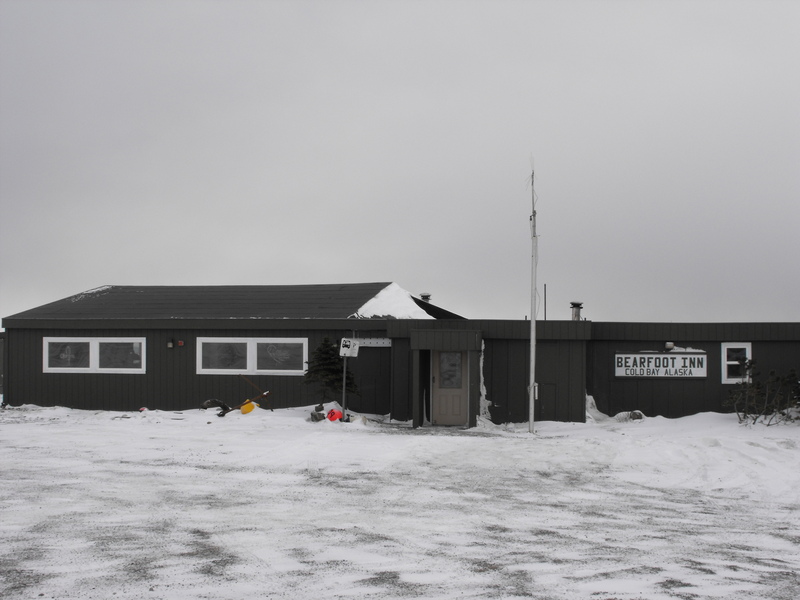 formerly known as " The World Famous Weathered Inn"
The Bearfoot Inn Alaska is located in Cold Bay, approximately 634 miles southwest of Anchorage. It is an important hub for surrounding villages and home of the Izembek National Wildlife Refuge. The Bearfoot Inn supplies groceries and general merchandise, has comfortable accomodtions at reasonable prices and offers quality and freindly service. We supply groceries to neighboring villages through our Bush Ordering department daily. Just a short distance from the ariport, we do provide pick up and drop off service. For a true Alaskan hunting, fishing or bird watching adventure, plan your next stay with the Bearfoot Inn Alaska in Cold Bay! Thursday, Friday 11 a.m. to 5:30 p.m.